Any guess on how much Ken’s ferociously large balls throw off that Fiesta’s weight distribution? 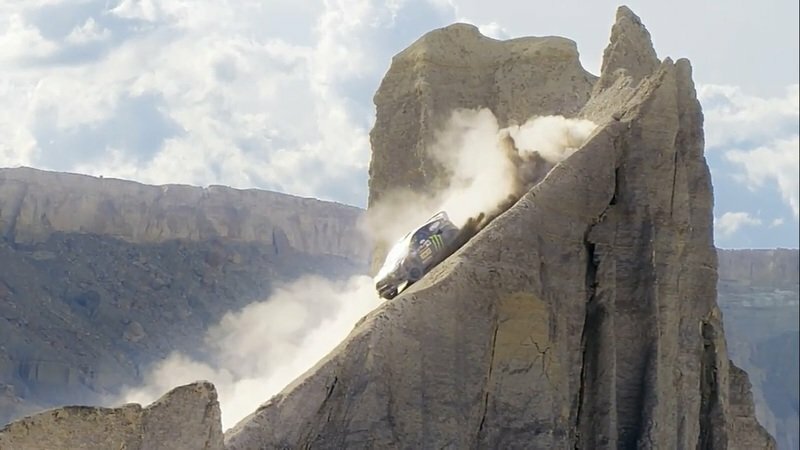 There’s no doubt about it – Ken Block is either outright crazy, has a death wish, or gets an insane high from beating the mother-loving hell out of his Fiesta while taunting death at the same time. I mean, the guy can push his car to the limit and a little further without it things going awry and he does it with class and style. If you look back at any of his Gymkhana videos, you’ll find yourself in amazement, even if you’ve seen them 100 times. Well, today we’re happy to report a new video has surfaced. This one comes straight out of Swing Arm City, Utah and officially goes by the name Terrakhana: The Ultimate Dirt Playground. 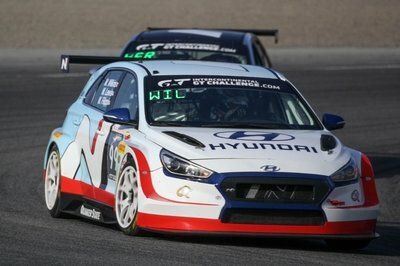 And, when Ken Block uses the word “Ultimate” you know he’s not playing around. Now, I know the best part about Ken Blocks work is watching it for yourself, so I’ll forgo the usual description and instead remind you that his Fiesta ST RX43 is, by far, the craziest Fiesta ever built and designed specifically for destroying pavement, sand, dirt, or anything else that is suitable for four-wheel travel. 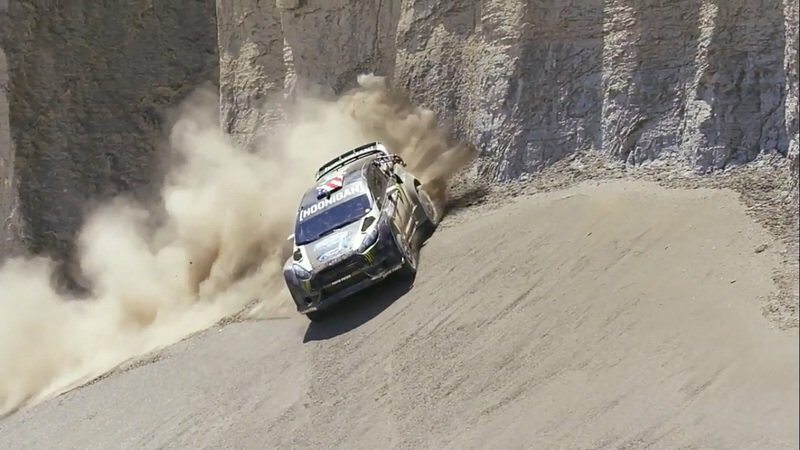 In the video, Ken Block makes his own sand and dirt storm with the 600 horsepower in powerful little Fiesta. Of course, we’re talking death-defying stunts and close calls that require balls of titanium to watch, let alone perform. For the record, this shoot was recorded at an elevation of 4,300 feet in an ambient temperature that was hovering right around 102 degrees Fahrenheit. If you’ve been in similar climates, you know it’s not exactly the most optimal conditions for a car to give its all. So, with that said, go ahead and click play on the video below and then keep reading to learn more about Ken Block’s Fiesta and how it compares to some of the fastest production cars out there! 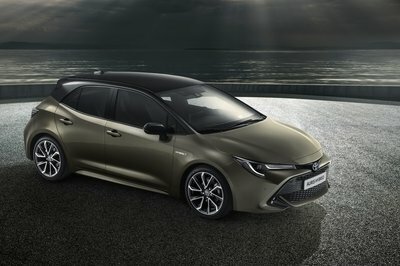 The car is built from a 2015 Fiesta RX43, but modified to the extent that the entire supporting structure has been seam welded and reinforced. Under the hood is where the magic really happens, though. 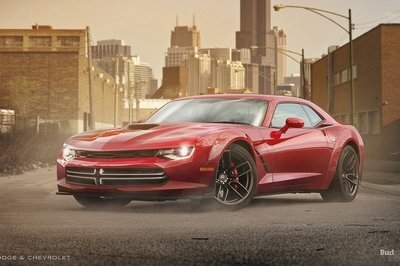 This baby is powered by a 2.0-liter (exactly 2,000 cc) four-cylinder that’s fitted with a Garrett turbocharger and a Sadev six-speed sequential transmission. A Sadev rear differential is thrown into the mix as is a center diff release unit. Suspension duties, which is clearly of the utmost importance are handled by a Reiger system while stopping power comes from Brembo. 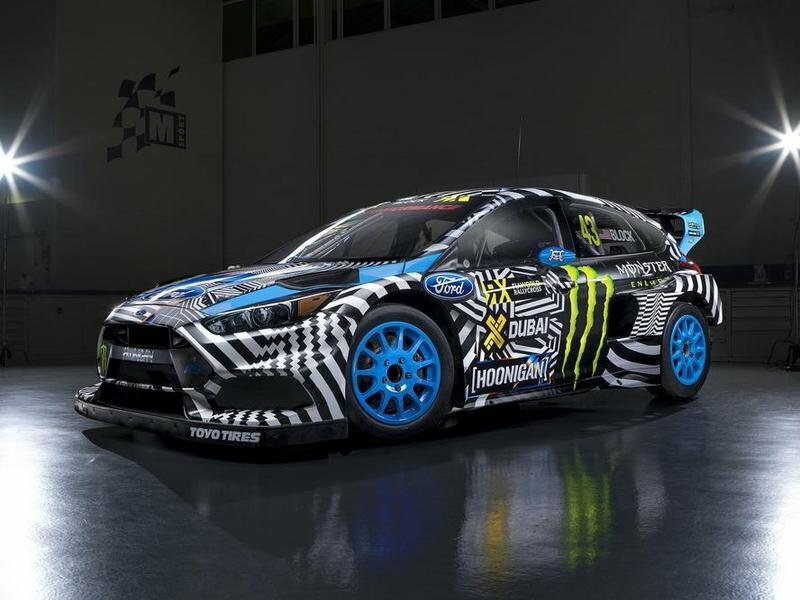 18-inch wheels wrapped in Toyo Proxes R1R tires round out the package that allows Ken Block to do all of these crazy stunts – well, that and those big balls of his, anyway. 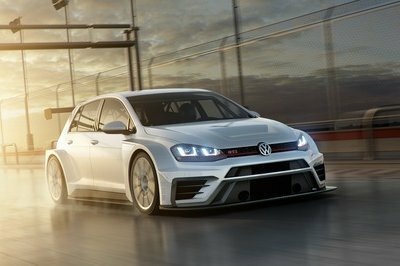 The car itself is optimized for torque, and thanks to its impressive launch capabilities, can hit 60 mph in less than two seconds. 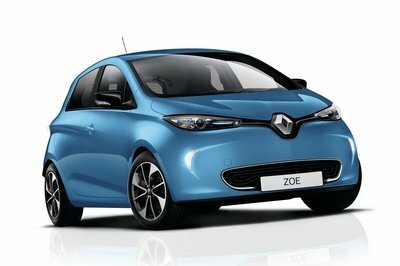 To put that into perspective, check out the chart below – this baby can beat the Ferrari Laferrari and the Porsche 918 Spyder to 60 mph… yikes! It’s hard to believe that Ken Block’s Fiesta can beat some of the world’s greatest and fastest cars, huh? So, how about this newest video? Does it trump his Gymkhana videos from the past, or were you a bit disappointed? Let us know what you think, and post your favorite Ken Block video in the comments section below. Read our full stories about Ken Block. 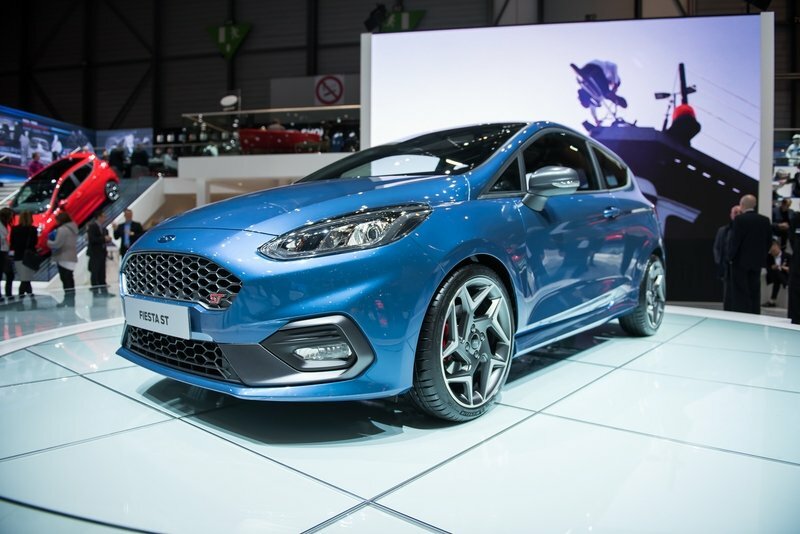 Read our full review on the Ford Fiesta ST.